Whether you need a checkup on your current water heater or a brand new installation, our plumbing specialists are available for same day and emergency services. 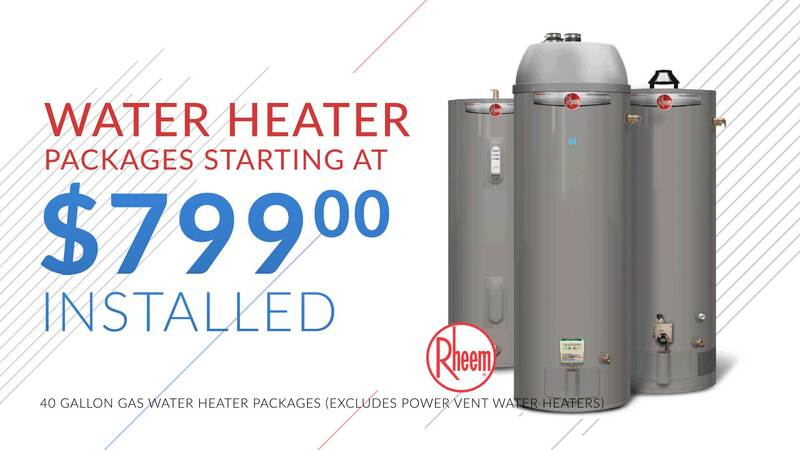 Starting at $799 for 40 gallon gas water heater package (excludes power vent water heaters). Contact us for a free estimate!